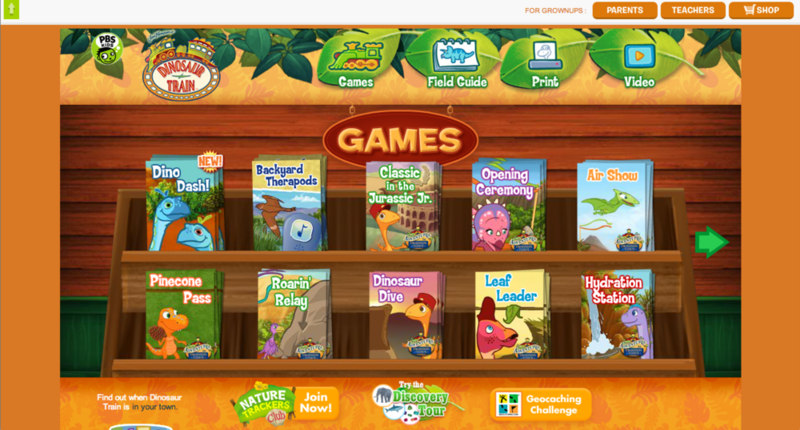 FableVision jumped aboard the Dinosaur Train with The Jim Henson Company and PBS Kids to a website for preschoolers. FableVision created a robust, interactive web experience to enhance the series, which embraces and celebrates the fascination that preschoolers have with both dinosaurs and trains while introducing themes in natural science, natural history, and paleontology. 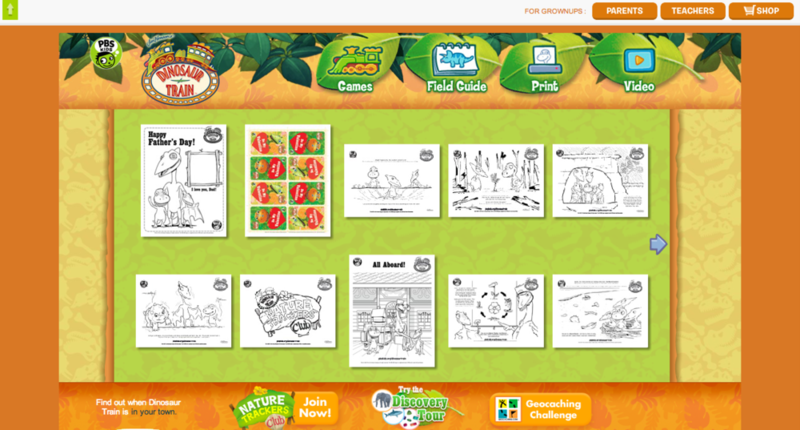 The Dinosaur Train website supplements and expand the TV series, inviting kids to enter the dinosaur world for more exploration and discovery through games, printables and video. FableVision also concepted, designed and programmed at least 20 games for the show. While the site has recently been redesigned again, the FableVision-designed site garnered multiple awards during its time. 2010 Prix Jeunesse International Interactivity Prize, Category "Up to 6"